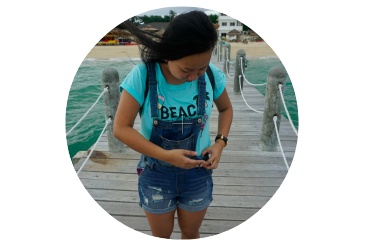 We spent so much of our time in Dumaguete on our food adventures. 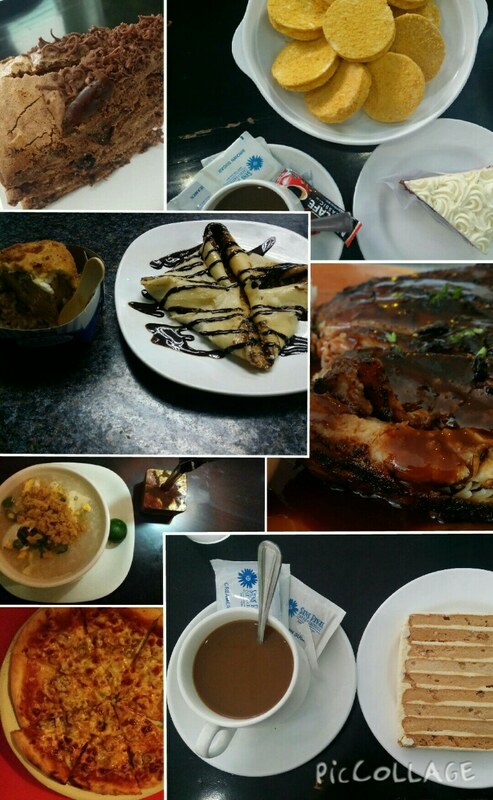 Dumaguete is a haven for the foodies, and we are self-proclaimed foodies! 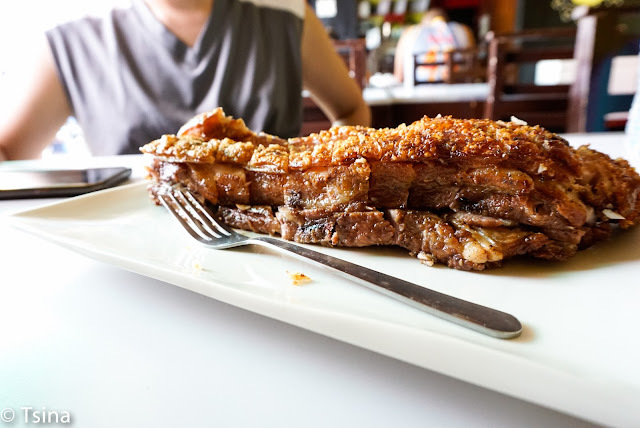 When you're in Dumaguete, you should know the drill, eat. When we were planning for this trip, we only wanted the Sans Rival. But we got more than we asked for. There are many foodie places that you can try, but let me share you the ones we've tried and enjoyed. Hayahay Treehouse Bar and Viewdeck. This was the first place we went to when we arrived in Dumaguete, because we were hungry like crazy. The food is good, nothing amazing though. But the view is really nice. This restaurant is few meters away from the Rizal Boulevard. Hoy Lugaw. There are days that I only want to eat lugaw for no apparent reason. Luckily, we found Hoy Lugaw during one of our walks in Dumaguete, and we gave in. You can see ingenuity of the owner in this place. The cauldron seats are amazing. Neva's Pizza. Pizza never disappoints. Neva's Pizza met our expectations, and probably exceeded because of the price. If you love pizza, never skip this one. Panda Ice Cream. We wanted to try the fried ice cream, so even though we were full already because we just had our dinner at Neva's, we still went to Panda Ice Cream. You know, desserts! :P We ordered the fried ice cream, and I enjoyed it. The dough was crunchy. Captain Ribbers. I've started loving ribs very recently, and glad that we tried this restaurant. They have great ribs and good ambience at a reasonable price.